You’ll find many great uses for a recliner-lift chair, especially if you’re someone who struggles to transition from sitting to standing due to an injury, surgical procedure, or mobility or balance issues. 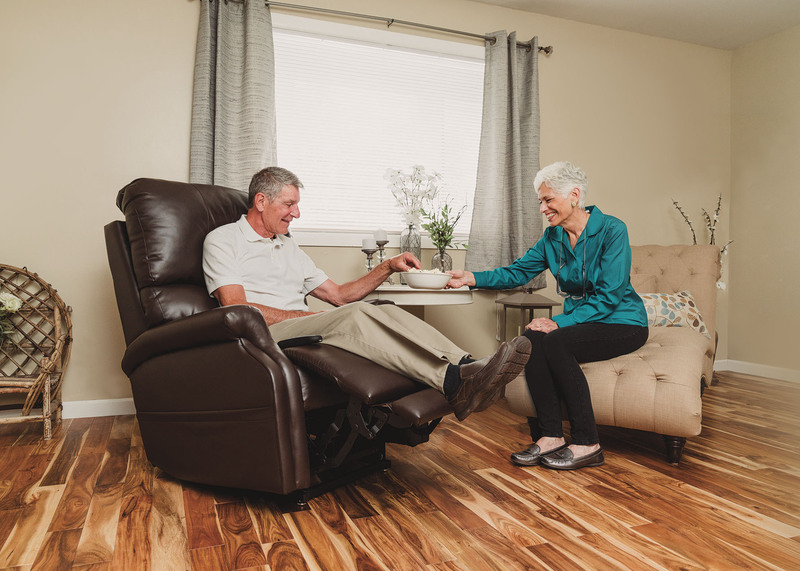 When you have the assistance of a lift chair on your side, you’ll be able to confidently and easily transition from sitting to standing with the simple push of a button. People with swelling of the legs and ankles find tremendous benefits because many chairs raise your legs higher than your hips and some higher than your heart! Of course a great benefit and use of a recliner-lift chair is the powerful lifting system that tilts the base and back of the chair forward. This positioning makes it possible for the lift chair to guide the user back into a standing position. Often times, users who invest in this product live with some type of mobility or balance issue but recliner-lift chairs can be enjoyed by pretty much anyone. In fact, it’s not uncommon to confuse a recliner-lift chair with a standard living room recliner. While the main difference is the lifting system, some models also offer additional features, such as heating and massage settings. Those who suffer from chronic back pain, stiff joints, arthritis, or any other painful condition will certainly benefit from these extra features. Recliner-lift chairs allow many people to live more independently in their homes longer. Here at All Home Medical Supply in San Diego, CA, we’re proud to offer a broad range of lift chairs for sale. We also service all products we sell for your convenience, so stop by today to start browsing!